Today (September 29, 2012) is the 2012 Smithsonian Museum Day. Visit their page to which of the hundreds of participating museums are in your area. This is a great way to learn about some fine museums in your area. If you see a museum near you on the list be sure to print your free pass out from their website. 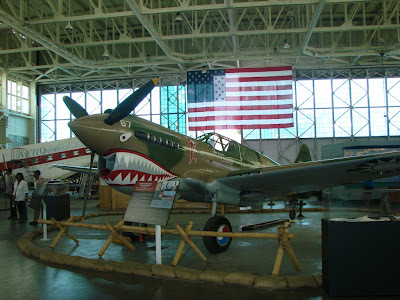 Here is a photo of the P-40 Warhawk Flying Tiger at the Pacific Aviation Museum near Pearl Harbor in Hawaii. It is one of the participating museums in Hawaii including the Anna Ranch Heritage Center, Baily House Museum, Grove Farm Museum, Mission Houses Museum, Iolani Palace, Japanese Cultural Center of Hawaii, Pacific Aviation Museum at Pearl Harbor, Queen Emma Summer Palace and the Tropic Lightning Museums. click here for details and to print your pass. Here is the Miso Glazed Sea bass with bok choy, carrots and edamame over jasmine rice served at the Yardhouse. The Yardhouse is located in Waikiki as part of the Waikiki Beachwalk on Lewers street. 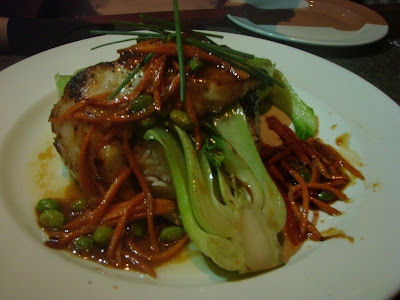 We dropped by after the Hawaii Five-0 world premiere and this was one of the many awesome dishes we sampled. They also have an incredible selection of beers to choose from. If you love food pictures be sure to follow our @HawaiiBlog on Twitter or HawaiiBlog on Instragram where we have a lot more food and Hawaii based photos. Its been a little warm this week and with some muggy weather coming in it may be a perfect time to hit the beach as the weekend approaches. 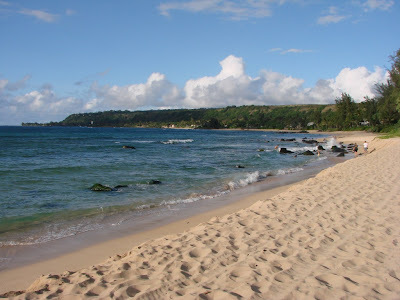 Here is a stretch of beach on the North Shore of Oahu a mile or so before Waimea Bay. Hope every has a great weekend. Also don’t forget the Blue Angels are in town on Saturday/Sunday at Kaneohe Bay Air Show and its also Smithsonian Museum Day on Saturday see what Hawaii museums are free.